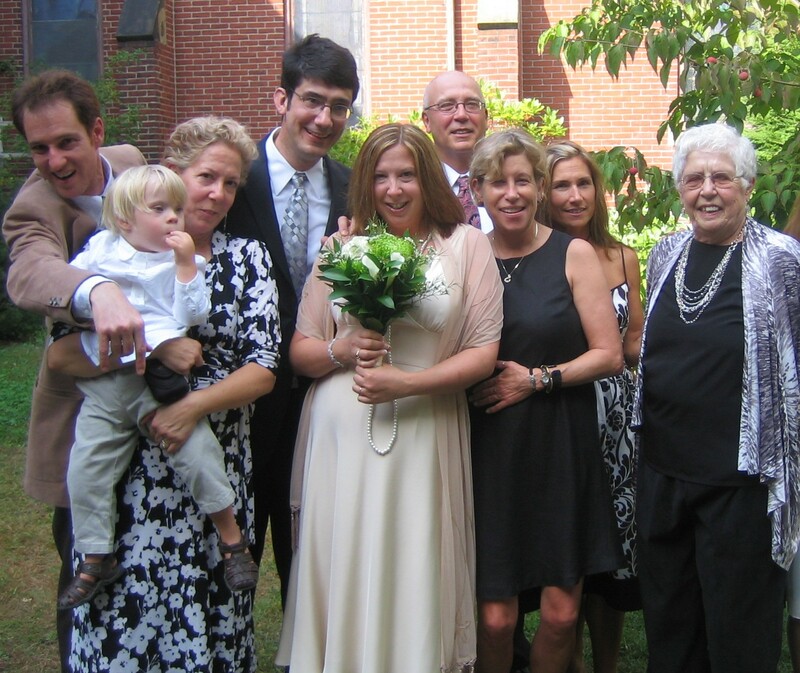 When we adopted T. April 1, T. gained a whole new family – aunts and uncles, cousins and grandparents. His mom and I are struck by how unconditionally all of them have accepted and cherished their roles in his life and his in theirs. On Sept. 25 he gained a new uncle when “Batt” married his Aunt Betty and became Uncle Batt. While Matt has known T. and been a part of his life since the day we brought him home, It’s nice that he’s now officially part of the family. It was a great time with a lot of friends and family we don’t get to see very often flying in from points south and west. During the week before the wedding, the door seemed to always be opening to a new face and T. greeted each one with a squeal and arms outstretched. It was a week to celebrate Betty and Matt and they were magnanimous those times it turned out to be T. standing in the spotlight. We wish the newlyweds a long and happy life together. They don’t need me to tell them that for better or worse, they have a lifelong friend who adores them both. This entry was posted in Adopting, By Atypicaldad, Marriage by atypicaldad. Bookmark the permalink.